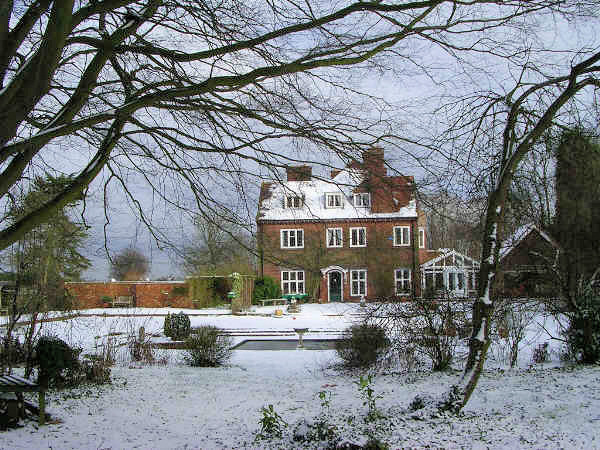 Bunce Court takes its name from the local Bunce family who were living at Hall's Place, Otterden, in 1503. At first sight the core of the present house looks to be early Georgian. However in fact it dates from 1547 and was re-fronted in mathematical tiles in the 18th century to give it a fashionable contemporary look. Two wings were added, in 1896 and 1910, and since 1984 it has formed four separate residences. For almost all its life it has been in domestic use. 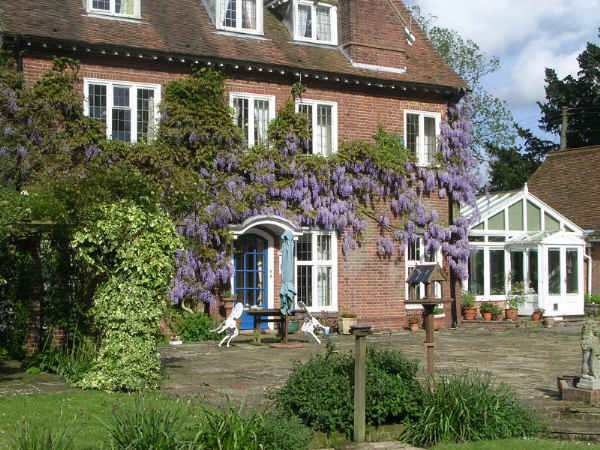 However, from 1933 to 1940, and again from 1945 to 1948, it was occupied by an independent boarding school. This was originally founded in Herrlingen, near Ulm in Germany. It was a progressive school, with many Jewish pupils. When Hitler came to power in 1933 the founder and principal, Anna Essinger, realised there would be no place for such a school in his scheme of things. With the help of British Quakers she moved the school, lock, stock and barrel, to Bunce Court. At first the official education inspectors were not impressed - everything was makeshift, and hand-to-mouth. But within a year or two new buildings had been added, and a replica Greek theatre even built in the grounds. The Whitehall hawks now recognised that they had a treasure on their hands. Among pupils were Frank Auerbach one of the UK's leading painters, and the late Gerard Hoffnung, the humorist Many others achieved distinction in their fields. In November 1938 came 'Kristallnacht' (the night of broken glass), when Nazi thugs terrorised Germany's Jews, setting fire to hundreds of synagogues. Anna, now regarded as a safe pair of hands, was asked to organise a reception camp at Dovercourt for 10,000 Jewish refugee children from Germany - the 'kindertransports'. Their parents stayed behind, and most later died in concentration camps as a result of Hitler's 'Final Solution'. 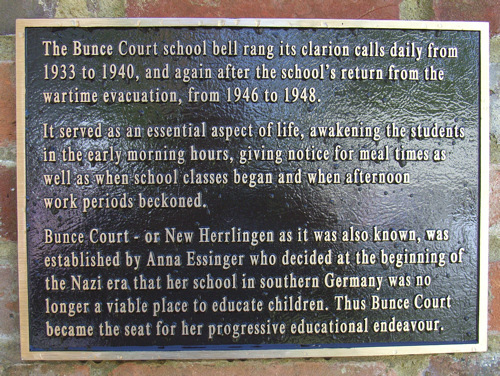 Dozens of the children she had rescued, effectively orphans, joined her 'New Herrlingen School' at Bunce Court. 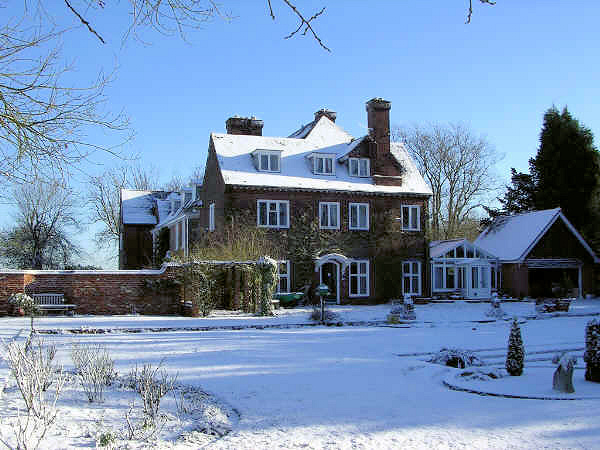 The buildings were requisitioned by the military in June 1940 and the school found a new haven at Trench Hall, at Wem, Shropshire. It returned in 1945, but closed in 1948 because it had fulfilled its purpose. Anna continued to live at Bunce Court till her death in 1960. In July 2007 the original school bell was repatriated from the USA, where it had been saved for posterity by an 'Old Bunce Courtian'. It was rehung on the house, and the opportunity was taken to erect a plaque (see below) in memory of the school and Anna Essinger, about whom you can read more in the Oxford Dictionary of National Biography.